We need members for our Business Partner Revamp project. You do not need to be a board member to participate on the committee. For our Business Partner Revamp project, we are working to create stronger ties with partners who can help us sponsor member meetings and our Spring Seminars. If you are interested, please contact Lisa Coombes. 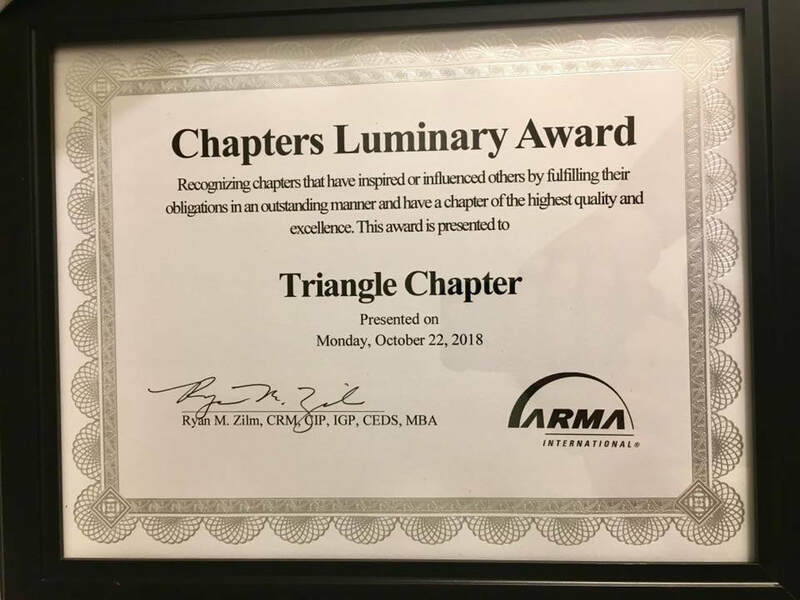 ﻿﻿The Luminary Award winning Triangle Chapter of ARMA International is a Not for Profit 501(c)3 organization ﻿that has a commitment to providing education and networking opportunities to ﻿local ﻿Records and Information Management professionals. Our membership is drawn from ﻿pharmaceuticals, local and state government, health care, legal, utilities, private businesses, imaging, and document storage just to name a few. We hold informative monthly meetings from September to May each year on current issues that are affecting the Records and Information Management industry, and provide professional development and networking opportunities to our members and guests. The ARMA Triangle Chapter proudly supports Haven House Services of North Carolina. Haven House Services strengthens youth and young adults through effective programs, advocacy and community mobilization. 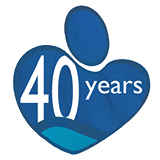 Haven House ﻿Services ﻿was founded in 1973 to provide community-based services to at-risk youth and their families in Wake County. gaps in services for struggling young people in the community. Rev. Al Dimmock, a local pastor, was volunteering in juvenile court when the court faced the case of a young girl who could not go home, was not appropriate for training school, and had no other options.